Born in Detroit in 1945, Tom Huggler grew up in the Flint area and has lived in Michigan his entire life. His outdoors articles began appearing in national magazines when he was only 12 years old. At age 17 he sold the first of many stories to Outdoor Life and grew to become the magazine’s Camping Editor. A former high school English teacher with B.A. and M.A. degrees from the University of Michigan, Huggler embarked on a fulltime writing career in 1982. A prolific freelancer, he penned thousands of articles for more than 100 publications and earned a reputation as a consummate researcher and wordsmith. In 1978 he was named Conservation Communicator of the Year by the Michigan United Conservation Clubs for his first book, a children’s novel. He went on to author more than 20 other books of nonfiction and fiction as well as to write scripts for television, videotape and DVD productions. Appearing often on the screen as a host and guest on numerous TV outdoor shows, Tom traveled throughout the world, and he enjoyed parlaying his experiences into books, articles and public-speaking seminars. No stranger to radio, Tom was also known for his marketing and public relations expertise and won many awards for his work as a writer and photographer. 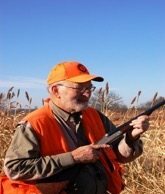 An active member of several writers’ organizations, he served as president of the Outdoor Writers Association of America in 1992-93. In 2010 he became president of the Hal & Jean Glassen Memorial Foundation, a not-for-profit private foundation dedicated to the protection of Second Amendment rights, the scientific management of natural resources, the growth of shooting sports competition, and the advancement of youth outdoors education and participation.